Barring a massive design error, the image below shows the two types of instrument panels you can make in your DIY cockpit. 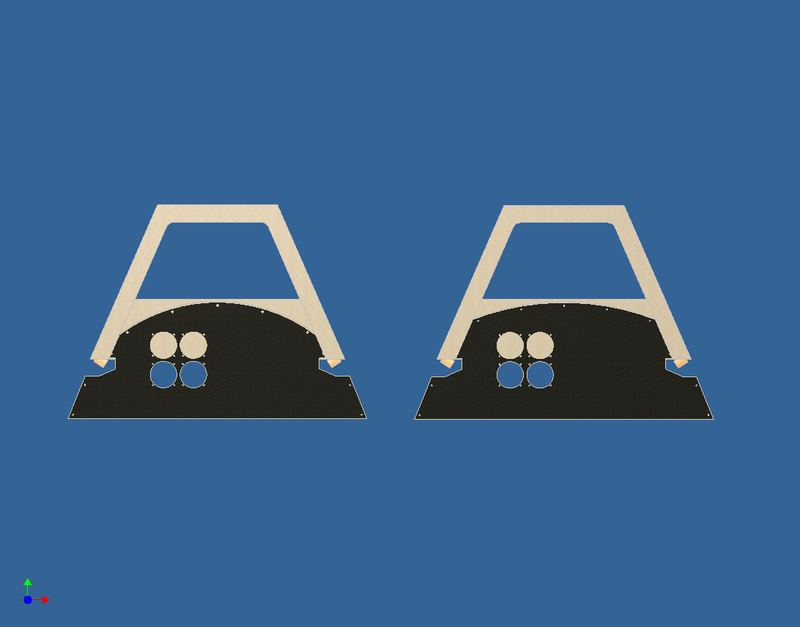 The two available instrument panel designs. The panels don’t differ that much. The one on the right is the original design that I did, the one on the left is more “109-ish” with the sharper arc that defines the top of the panel. When released, I’ll make CAD files of both panels available so you can design the layout as you see fit. I may also offer a cutting service for those that want me to cut their panel for them. They’ll be from 1/8″ tempered hardboard, just like the prototype. ← Damn, this thing looks cool…. Love the F15, especially with the crash history! Awaiting for plans with with interest.